Do you have the organizational culture needed to achieve your organization's mission? Does your organization have the behaviours to achieve your strategies? How well do your organization's behaviour's reflect your aspired culture? Find out by using Harrison's cultural Analytics to measure organizational behaviour at various levels of the organization including senior leaders, managers, and across departments. 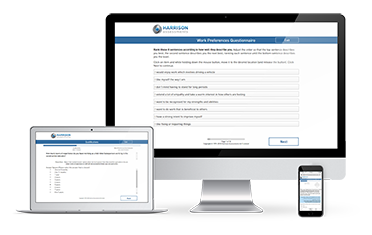 The Harrison Organizational Culture Assessment not only identifies the key issues, it provides individual employees with the key data they need to make the necessary adjustments. Employees who have already completed our SmartQuestionnaire for other talent functions do not need to complete another questionnaire. All the data needed to analyse organizational culture can be drawn from the SmartQuestionnaire.